Jim Sterne has been called the godfather of web analytics. Joining the industry at the beginning of the 90s, he has not only built a successful consultancy practice, but started the eMetrics Summit, which over the years has gathered thousands of online marketing professionals, as well as founded the highly influential Digital Analytics Association. 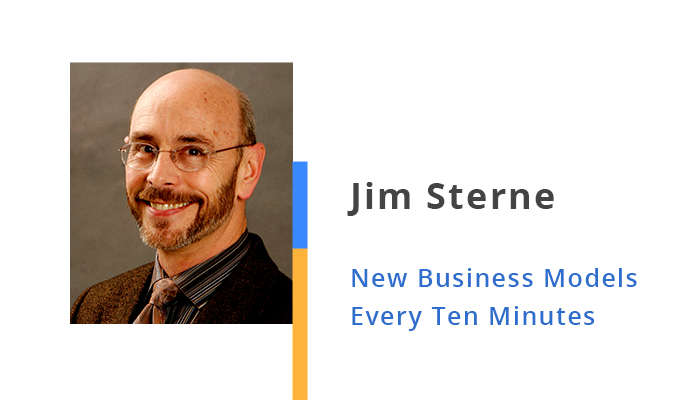 In an interview with Tony Simonovsky, Jim Sterne outlines milestones in the development of digital analytics which have established it as an essential tool of modern business growth. When you started in digital marketing there were few people who were able to predict that it would change markets and the very concept of business so dramatically. Why did you choose to build your career in this area? I became an online marketing consultant in 1993, when, after 15 years in sales and marketing, I tripped over the Internet, and said, 'Okay, this is a big deal. It is going to change our profession.' In the early days of online marketing we discovered a new business model in every ten minutes of conversation. We came up with new ideas and went online to find out that somebody was already doing that. It was new and exciting. By 2000, I had narrowed my focus to web analytics, as I had realized that we could improve user experience by using numbers that represent customer goals and behavior. I then gave a presentation at a Net Genesis user group meeting for one of the original web analytics companies. This meeting led to writing a white paper, co-authored with Matt Cutler, founder of NetGenesis, which I later expanded into a book. The publishing of the book was followed by the first eMetrics Summit, which became the birthplace of the Web Analytics Association (since 2011 – Digital Analytics Association). So, I have been in this field from the day it emerged, and I have never turned back. With online marketing having developed so substantially over the last 15 years, can you say that the role of professionals in this field has also significantly changed within their companies and in the market? Absolutely. In the mid-90s a corporate website usually was a product of experiments from a company IT department, who had just discovered that they could download a server, set it up on an outdated computer, attach this PC to the Internet and represent their organization on the World Wide Web. This activity usually remained unnoticed by the marketing department for the next three or four years, when they finally found out that Dilbert from the IT department was playing a marketing guy. People who started online promotion of their businesses were not experts at marketing or network transactional management. They did this for fun. Only later did they realize that they were selling goods online and competing with other producers. They started paying attention to this fact, but still could not efficiently measure customer interest in the company on the Internet. We had log files, but nobody knew what to make of these numbers. Today you annually conduct numerous eMetrics Summits across the globe. Do questions attendees ask at the summits today differ from those asked a few years ago? 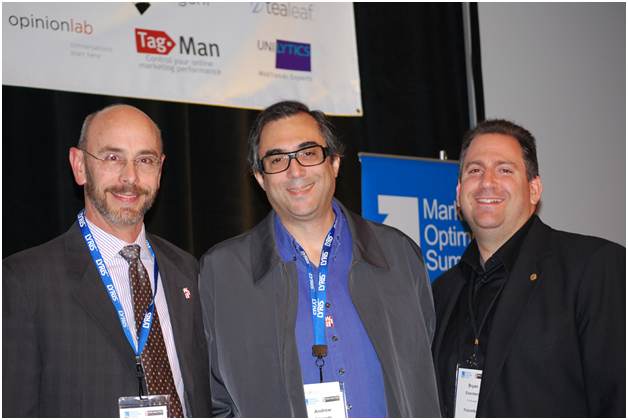 The first eMetrics Summit took place in 2002 with the Web Analytics Association emerging two years later. Could you please describe the impact these two initiatives have had on online marketing and web analytics? The eMetrics Summit provided a place where digital analysts could get together, share experiences, discuss current challenges and try to find solutions. As nobody had worked in the field before, the first participants of the eMetrics Summit were just delighted to see that they were not alone, that there were others who faced the same issues and were haunted by the same questions. The Digital Analytics Association came up with a whole bunch of ideas and solutions for professional development and networking. First, we built an open forum discussion group on our website and then created a competency framework that defined professional goals and tasks. Basically, it was developed to help us and our peers figure out what we do for a living and how to do it better. Afterwards, we developed a self-assessment guide aimed at helping analysts measure their professional success and keep up with market demands. Now, we have fifteen job descriptions for HR departments looking for online analytics professionals, as a lot of them struggle to define what competencies they expected from their applicants. We have done a lot to describe this field and profession, and find a right place for it within a company. I’m deeply impressed by the people who have stepped up to help each other.